Here’s a thought… Let’s say you publish a book that becomes a best-seller – if only! – selling in its millions and bringing you in plenty of money. Would that be enough, or would you also want the world to know who you were? Elena Ferrrante, the Italian author of the Neopolitan novels, didn’t want people to know who she was. For those of you who haven’t heard of them, the Neopolitan novels are a series of four books, My Brilliant Friend, The Story of a New Name, Those Who Leave and Those Who Stay and The Story of a Lost Child. They were widely assumed to be at least semi auto-biographical, and beloved of book groups up and down the country. 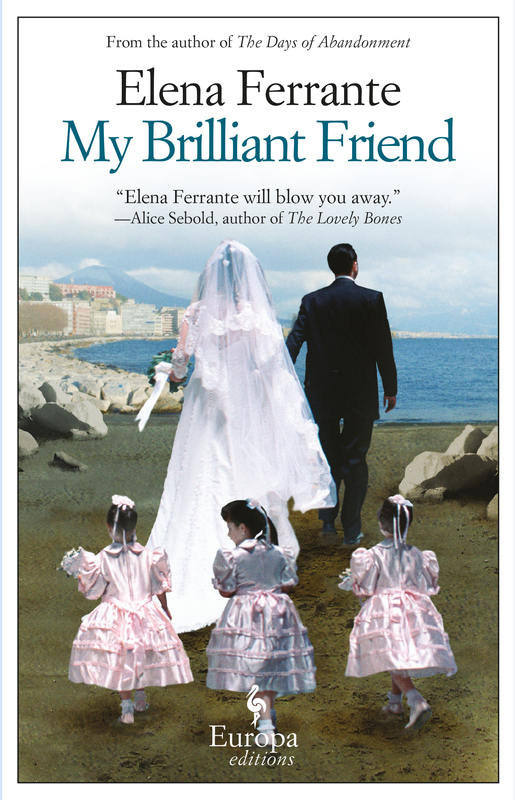 Elena Ferrante herself remained a mystery. She had kept her identity secret since the publication of her first novel in 1992. And then along came journalist Claudio Gatti, who searched for financial records related to real estate and royalty payments. He published an article this month, which drew the conclusion that the real author was a woman in Rome. Writing in Stylist magazine this week, the fabulous Lucy Mangan said Ferrante had stated numerous times that she writes under a pseudonym so that her books could be read for themselves, and so her time and creative energy isn’t depleted through publicity activities. Gatti’s reasoning was that her success made the search for her identity “virtually inevitable”. In her piece for Stylist, Mangan asked: “‘Why did Claudio feel Ferrante owed him more than her books? Is unmasking someone (non-criminal) any kind of public good or a violation of privacy or consent? Why might a man feel able to go against a female author’s wishes on the very weakest of pretexts? Who did he feel she was hurting? Was it only his perceived right to know everything? When’s he going to dox Thomas Pynchon or A.N. Other reclusive male author? However if we set gender aside, the clue might be in the sentence “They were widely assumed to be at least semi auto-biographical, and beloved of book groups up and down the country.” If part of the books’ appeal is the debate over whether or not they’re semi-autobiographical, then all readers are entitled to research that at least to a basic level. She did ask for privacy. OK, I didn’t know she’d made a point of asking the general public not to enquire about her real identity. However “I want never gets”: she can ask, but she has no entitlement to privacy just because she asks. She requires our consent to be able to say there’s any sort of bargain. Being honest, I think the concept of ‘publication’ is inseparable from ‘publicity’. I’m prepared to bet that a small part of the appeal of the books was the mystery surrounding the writer. (Think of the fuss surrounding Primary Colours when it was first published.) If she accepts that share of the royalties, she opens herself up to a charge of hypocrisy. And as well as the right to privacy, there’s an individual’s right to inform himself or herself – to research freely, in other words. There are limits to that right – and a journalist simply doing so to make money clearly goes beyond that – but it does mean that people like you and I have the right to do such detective work ourselves so long as we don’t publicise it. Maybe even if we do. Either way, given that there was no chance whatsoever that Elena Ferrante could remain anonymous for ever, it’s all a bit academic. But even if Lucy Mangan was right about everything else, her attempt to link this issue to gender demands that her entire article should be dumped in the round file.